Shortage of electric-car ports fueling "charge rage" in Calif.
PALO ALTO, Calif. -- An increasing number of electric-vehicle driving employees at Silicon Valley companies are finding it hard to access car-charging stations at work, creating incidents of "charge rage" among drivers. 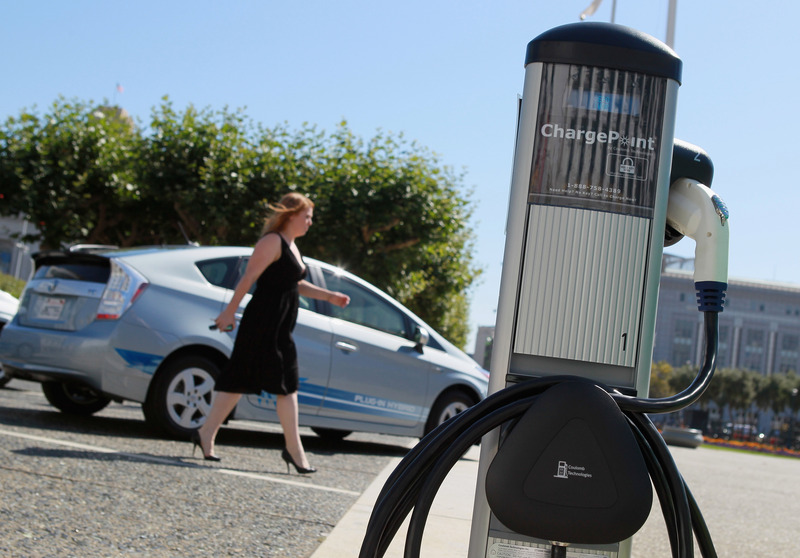 Installation of electric vehicle charging ports at some companies has not kept pace with soaring demand, creating thorny etiquette issues in the workplace, the San Jose Mercury News reported. Peter Graf, chief sustainability officer for German software company SAP, says the company's 16 charging stations are now not nearly enough for the 61 employees who drive electric vehicles. Graf says cars are getting unplugged while charging, creating animosity between employees. A charge can take as little as 30 minutes. "Cars are getting unplugged while they are actively charging, and that's a problem," Graf told the newspaper. "Employees are calling and messaging each other, saying, 'I see you're fully charged, can you please move your car?'" The company is drafting guidelines for EV-driving employees. ChargePoint, which operates a large EV-charging network, says companies should provide one charging port for every two of their employees' electric vehicles. Companies everywhere will probably begin facing similar problems. Pacific Gas & Electric Co. expects 800,000 electric vehicles to be on state roads by 2020 - there are only 20,000 now - creating a high demand for charging stations. Currently, there are about 5,000 public and workplace charging stations in California and 20,000 nationwide. "Having two chargers and 20 electric cars is worse than having no chargers and 20 electric cars. If you are going to do this, you have to be willing to continue to scale it," said Pat Romano, CEO of ChargePoint. Adding chargers can be expensive, especially at sites where companies are leasing space and don't want to invest in permanent charging infrastructure. Some Valley companies have already taken steps toward alleviating charge rage in the workplace. About 10 percent of Infoblox's 260 employees have electric vehicles, with only six charging stations. So, the company set up an EV user distribution list and a shared calendar for booking time at the charging stations. "You can only book for a two-hour window. But Rule No. 1 is: No one touches anyone else's car without permission," said David Gee, the company's executive vice president of marketing.